Customers come first, and customers want innovation, report finds. For the vast majority of business leaders in the UK, the customer-first approach is essential for success. More than three quarters (77 per cent) believe this approach is important for long-term success, while 80 per cent see trust as an important factor to maintain strong customer relationship. 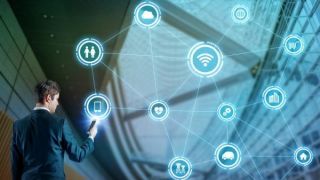 This is according to a new report by Fujitsu which found that in order to be able to have that customer-first approach, businesses need to meet customer demands, and one of the main things they demand is – innovation. Almost two thirds (64 per cent) of business leaders have found that their customers expect more innovation from them. “Emerging technologies – like Artificial Intelligence and the Internet of Things – are fundamentally changing the way we work and engage with customers. The UK’s new Industrial Strategy puts technology at the heart of its success and we are already seeing a number of new and exciting innovations stem from its use,” said Rupal Karia, Head of Public and Private Sector for Fujitsu UK & Ireland. A third (32 per cent) will invest in new technologies in the next decade, to meet customer expectations. That technology will be used, for example, in automation, to free up employees’ time, so that they can focus more on the customer. You can find the full report on this link.